Worthington of Genesis was born March 13, 2011. 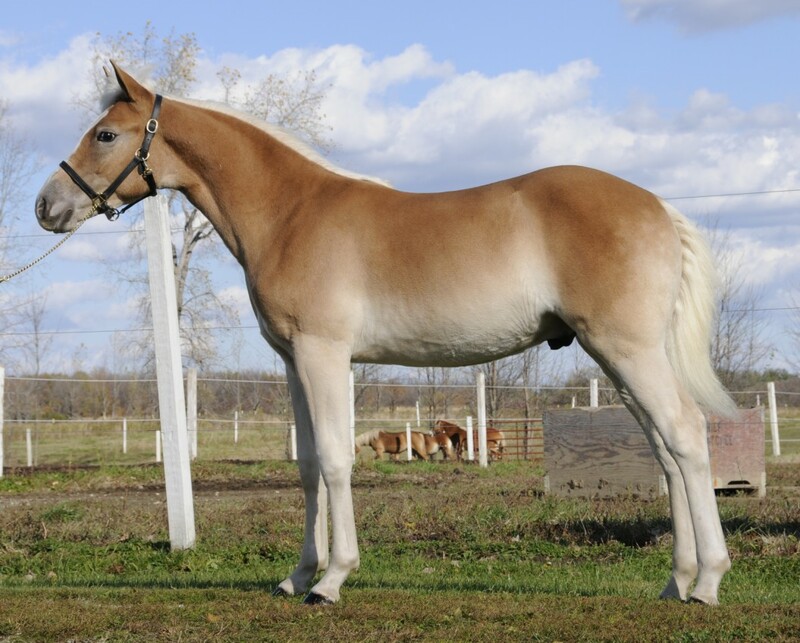 Worthington is sired by the Holland imported, AHR Silver Classified Stallion, Windstar Van de Ooste. Windstar’s sire, Windspiel, was a former Dutch Selection Champion and an Austrian import into Holland. He stands at 62” tall. Windstar’s dam, Maira van de Wortel, is from one of the most premier mare lines in Holland. Her dam, Mira van de Wortel, was a former Dutch National Champion. Maira’s sire, Amsterdam was a former World Reserve Champion. Worthington’s dam, Belle vande Haflinger Hoev, was also imported from Holland by Genesis Farm. In 2007, Belle was the AHR ‘National Champion Mare’ and went on to be named ‘National Best of Show’. She also was the ‘Reserve National Performance High Point’ winner for her accomplishments under saddle and harness. Belle was AHR inspected as Silver with 79 points in 2010, earning a ‘9’ for overall movement. Belle is the perfect example of versatility—her loaded pedigree combined with great conformation and powerful movement plus a willing disposition all allow her to excel in breeding, halter, and performance venues. She is one of the foundation breeding mares of Genesis Farm and one of Michele’s personal all-time favorite horses. Prior to giving birth to Worthington, Belle has had three foals out of Arno van het Nieshof and all three of her foals have been former AHR Futurity Champions. One of her foals has also been a former AHR SIP Champion (2006) and another has been an AHR SIP Reserve Champion (2007). Both of her daughters have been AHR Inspected and both were scored as high silver. Her foals have gone on to win many titles of their own aside from numerous AHR Futurity Championships, including draft Reserve National Champion Mare. For two consecutive years, Belle’s foals stood by her side to win the National ‘Mare and Foal’ class. Worthington is a prime example of modern Dutch breeding right here in the United States as both his sire and his dam are Holland imports, making his bloodlines of particular value here in our country. Worthington was foaled when John was in Europe watching the Filly inspections in Ebbs, Austria, and it was Michele’s pleasure to measure him at a whopping 44” at birth and send pictures and e-mails detailing the arrival of this long awaited colt to John! Worthington made his show ring debut at the 2011 AHR National Show. He wasted no time in following the winning legacy of his older siblings. Worthington was the 1st place draft ‘Senior Weanling Colt’. He went on to be named draft ‘Reserve Senior Champion’. He was only placed in Reserve to his ¾ sister, B-Dazzle of Genesis , who was also sired by Windstar but out of one of Belle’s own daughters! Worthington competed in the draft SIP class to represent Windstar and Genesis Farm. In that class, he was named as the draft SIP ‘Champion’ and B-Dazzle of Genesis was named ‘Reserve Champion’. Together these dueling epitomes of Windstar’s breeding earned Windstar the title of 2011 Draft SIP ‘Stallion of the Year’. 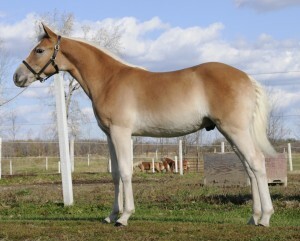 Worthington is a tall, long-legged and modern colt that is very clean and flat in the bone. He has a great set of bottoms with exceptionally long pasterns.